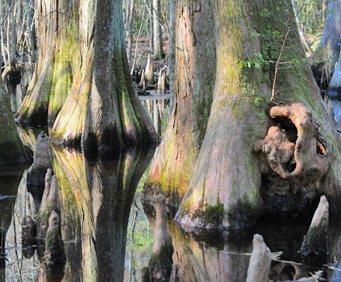 Paddle into thickets of the Four Holes Swamp beneath the 1,000-year-old Virgin Bald Cypress and Tupelo Gum trees that are the oldest of their kind left in the world. This guided canoe trip will be led by a naturalist from the Audobon Center who knows everything there is to know about the area, especially the plants and wildlife that have made the still blackwater swamp their home. This is an experience that most will never have the opportunity to undergo, and you will have the exploration of a lifetime. 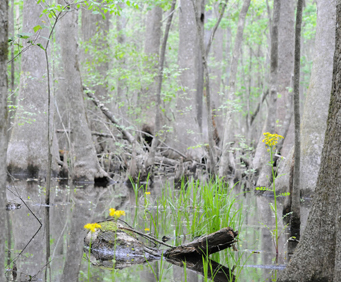 On this canoe trip, you will be able to see Virgin Bald Cypress and Tupelo Gum Trees thriving in their natural habitat which covers an area of 16,000 or more acres. The tree sanctuary has been untouched for millennia, and is truly the only place on the planet to see such a sight. 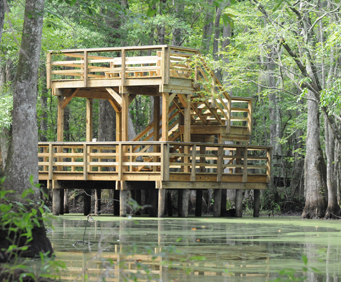 Hear the sound of bird, bug, and breeze that have echoed through the trees for ages and lets you see the swamp the way nature intended. See salamanders, frogs, bats, foxes, raccoons, beavers, rats, rabbits, deer, turtles, fish, lizards, snakes and even alligators, among many other forms of native wildlife. Through this tour, you will be able to gain understanding about the unique and fragile ecosystem hidden deep in the Francis Beidler Forest, creating both a memorable and educational experience.